1 blog post = food for 50 hungry kids = pretty good deal. Pretty good deal? You bet. If my blog can help feed 50 underprivileged children today, I would blog about this every single day for the rest of my life to make sure each post fed fifty kids. The Akshaya Patra Foundation happens to be one of my pet causes because we always believe in ‘anna daanam’ (food as a form of charity) to be the highest of all goodwill deeds that one could do. And we are already associated with them, doing our little bit via contributions. Each time there’s a special occasion like an anniversary, birthday or an “in memory of”, some good news to celebrate, in our family, we make it memorable with a donation to a charitable cause, rather than go out and spend it on ourselves. The deep sense of contentment that comes with this act is totally unmatched. Indeed. And the Akshaya Patra Foundation (ISKCON) is doing a fantastic job of feeding children, encouraging them to attend school. I have heard a lot of feedback about the program – they serve good food to the children in the remotest areas. We feel so happy when we see their vans every day. The Akshaya Patra Foundation is the largest non-profit organisation in the world to implement the school meal programme. What started in Bangalore 10 years ago as a pilot programme has now expanded to 18 locations across 8 states in India to feed over 1.2 million children today. That’s some achievement! They are internationally recognized and awarded for their noble effort. Friends, please support the Akshaya Patra Foundation. You can donate online right from the comfort of your keyboard, sitting where you are. You know what they say about little drops of water forming the mighty ocean – every little helps. I don’t know how many times we’ve recited “Children are the future” – and support them we should. Food is a survival issue. It is the least we could do. We think we can’t change the world – but we can – gradually. Thanks, Indiblogger for the “Akshaya Patra blog and feed 50 children” initiative. Thank you for subscribing to my blog! Do consider leaving a comment – or just reply to this email! I’d love to know what you think. Namaste! I am glad you are here. May your day be filled with smiles! Thanks, Pramod. I enjoyed your blog! Glad to see so many bloggers joining hands to feed the future souls of India! The one line motive “No child in India shall be deprived of education because of hunger.” says it all how humble their service is. Very informative, beautifully written post and the cause is great Mam. Thank you, Pratibha! Do keep in touch! Mohan, thanks for visiting my blog. I follow yours and think its great! What we’re seeing here is blogger-power 🙂 Junta rules. Now this post I like. 🙂 Thanks for the lovely comment! I thought A-Musing was unique, too. 😛 Still do! I am consoling myself with the fact that I got there first 😛 Just kidding. I dont understand why is everyone posting about Akshaya Patra today? Akshayapatra-its a great venture and appreciate the people who taking it forward. well written for great cause! Thank you, Farida. I enjoy both your blogs. Thanks “kerala pictures”. Yes – that’s what I like about this whole exercise! The compassion that people are showing is so heart-warming. Simple and effective! The pic is very sweet. very nice post Vidya ji. Saurav, how nice of you to drop by and comment! 🙂 Thanks. Naveen, thanks for coming by, and your kind comment! 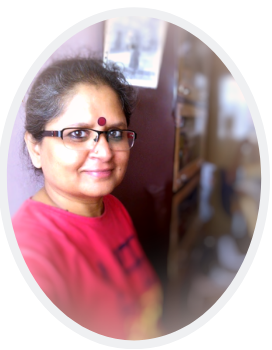 After you sent me the link to the Akshaya Patra Program at indiblogger.in, I registered there but I have not been able to post my entry till now and when I view my profile, it says it doesn’t exist…how much time does it take to confirm a new member in indiblogger..? Very informative post….. This post needs to promotions.. please also share this post with your friends.. I love the concept of akshayapatra! Wow…this is really very beautiful site..love to see your blog….! Thanks Mansi. Do drop by often. 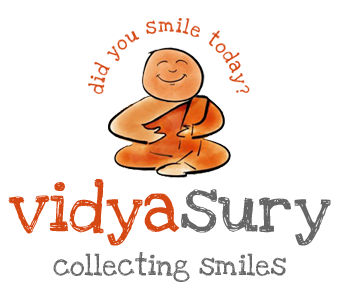 © 2019 - Vidya Sury, Collecting Smiles.